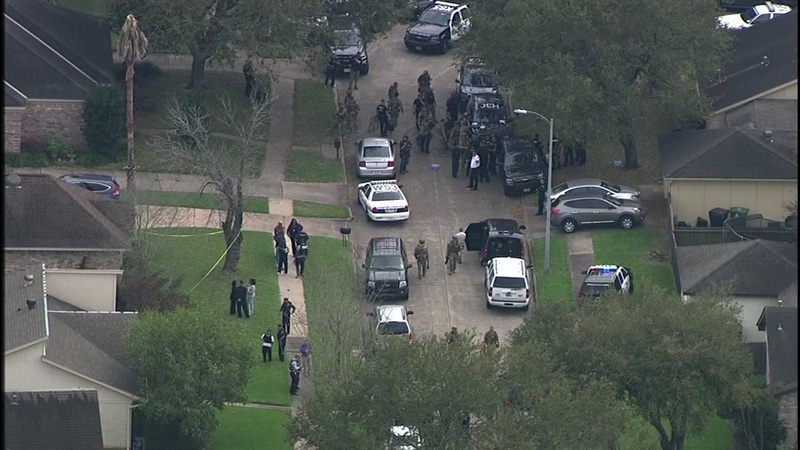 HOUSTON -- Two Houston police officers have been injured in a shootout with burglary suspects in southwest Houston. One suspect is dead, one officer is critically injured, and one or two suspects are believed to be on the loose. It happened at a home in the 8700 block of Sterlingame just before 12:30pm near Beltway 8 and Highway 59. SWAT and K-9 officers are searching the area for a Hispanic male suspect wearing dark clothing and a blue bandanna. He is considered armed and extremely dangerous. 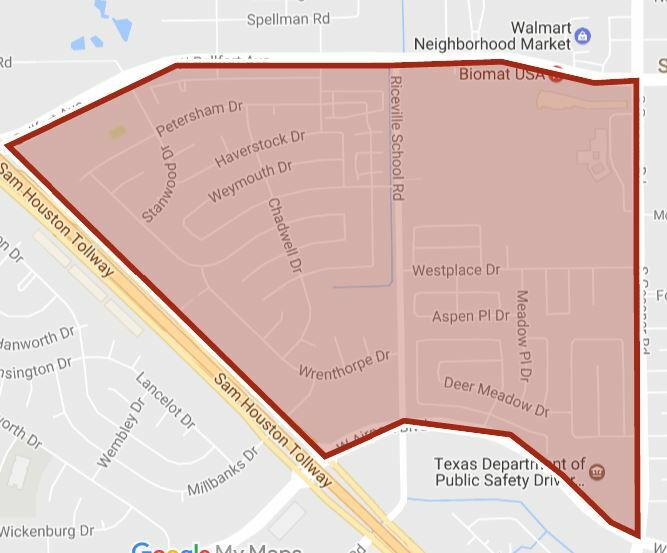 Houston Police Chief Art Acevedo advises residents in the area to shelter in place, and others to avoid the area. The following schools are on lockdown during the police investigation. School officials at Gross Elementary are now releasing students to their parents. According to Houston Mayor Sylvester Turner, Officer Jose Munoz was taken to Ben Taub Hospital with non-life-threatening injuries to his foot. Officer Ronny Cortez, who was taken to Memorial Hermann Hospital, is in critical condition. Both officers are married, according to Turner. Officer Cortez, a 24-year veteran, was reportedly able to visit briefly with his wife, but a bullet is lodged close to his spine. Houston Police Chief Art Acevedo thanked United Airlines, for helping to bring a daughter of one of the injured officers home from college out of state. Mayor Turner is reporting that 2 or 3 suspects are on the loose. On way to officer involved shooting if you're a person of faith please pray for our officers. @FirefightersHOU have our HPD sisters/brothers in our thoughts and prayers today after 2 officers were hit in shootout w/ burglary suspects.